The shape of your body can often dictate your social life and the fashion statement that you carry. Typically, when mothers have gone through multiple pregnancies, their body starts to lose shape. Weight gain and weight loss pre and post baby birth can leave your tummy de-shaped. To improve this decline in the state of your tummy, you can opt for a cosmetic procedure known as tummy tuck Chicago with Board Certified Plastic Surgeon Dr. John A Kotis. A tummy tuck Chicago is simply a surgical procedure where Dr. John A. Kotis tightens the muscles in and around the abdomen area, reshape the tummy and allow you to have a firmer and flatter midsection. The procedure for a tummy tuck will involve the elimination of excess sagging skin. A tummy tuck is one of the most popular cosmetic procedures and that is largely due to the number of benefits it offers. Here is a low down on some of the reasons that can swing your decision in favor of a tummy tuck. Once you have undergone significant changes in your weight, it can take a toll on you. Same is the case with undergoing multiple pregnancies. In such situations, people can often turn to exercise and diets, yet those alone, cannot help. So how can you tighten the muscles of your abdomen which have loosened as a result of your stomach stretching multiple times because of pregnancy? This will require Dr. John A. Kotis to manually tighten the muscles which will not only enhance the shape of your abdomen but also improve your posture. This is a serious problem that occurs in people who have weakened and loose abdominal muscles when an intestine or tissue of the abdomen breaks through the wall of the abdomen and forms a sack or pocket. Once you undergo a tummy tuck though, Dr. John A. Kotis the abdominal muscles in your body will be strengthened, decreasing the chances of a ventricle hernia. It can also be corrected during the tummy tuck procedure. How we look and what we wear are two important parts of our personality. If you are unhappy with the way your body looks and are limited in your expression of fashion as a result, you are undermining your personality. When you undergo a tummy tuck on the other hand, you are killing two birds with one stone. Not only are you correcting the way your body looks, but opening up new avenues of fashion. This would mean you can be more expressive, self assured and confident in your persona, knowing you have no visible flaw to hide. 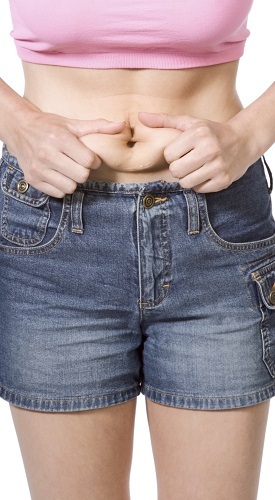 Despite the fact that a tummy tuck is growing in popularity, it is not as simple as it seems. Like any Plastic Surgery procedure it is pretty complex and will need a pre-operative regimen and adequate post-surgery rest to ensure the effectiveness of the procedure.